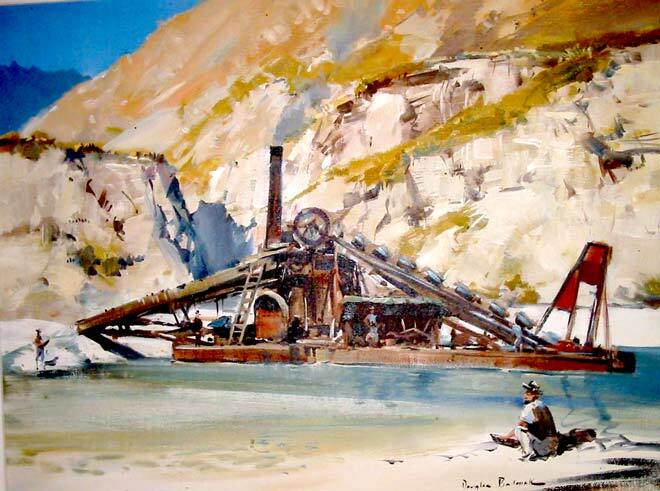 In 1887 Choie Sew Hoy took up claims on the lower Shotover River and worked them with a newly built steam-powered bucket-ladder dredge. It was an immediate success. A key factor in its design was that the bucket ladder could extend outward so that a river’s banks as well as its bed could be mined. This dredge was probably built by Kincaid & McQueen of Dunedin. It worked on Big Beach, downstream from the Edith Cavell bridge at Arthurs Point, Queenstown.